The Lucidity Festival is a weekend long art and music event that happens East of Santa Barbara California, at live oak camp ground each year in April. I have gone the past 2 years and had a splendid time. I highly recommend this event to everyone who is seeking outward and inward. This year 2014 it is called Lucidity Universe. In previous years (2012, 2013) I lead multiple workshops on how to lucid dream. This year they requested I be on the 6 person lucid dream discussion panel. More information on that will be known closer to the event. I will be staying near the healing sanctuary. You are welcome to contact me about this festival if you have any questions, or are interested in meeting while there. I am an Ambassadors which means I’m there to help build the open source festival and spread the word about it. I can give out a $6 discount promotional code that helps with the cost of a ticket. This transformative festival is well worth the ticket price. It such an amazing event! Contact me for the Promotional Code. At this time I am discussing with a few other lucid dreamers how to bring a stronger lucid dreaming presence to the Lucidity Festival. 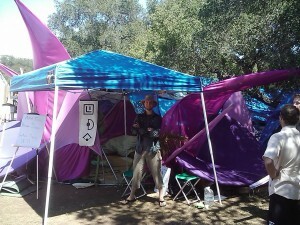 2 years ago I collaborated with another group and built the Lotus Dream Dome. We don’t necessarily need to build a structure, but we do need a meeting place and time to get all the practicing lucid dreamers together. Let me know if you want to be involved with the planing or want to be sent info on what gets created. Taking part in the lucidity festival is a fun and vibrant way to explore and spread lucidity in your waking life, as well as in the dream state. If you plan to attend the Lucidity Festival, look me up. I’d like to hear your story, and your experience with dreaming. 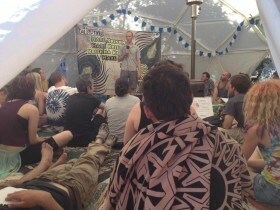 It is an open source festival so contribute in any way you feel called. I invite all dreamers, seekers, sages, and conscious beings to experience for yourself the Lucidity Festival.